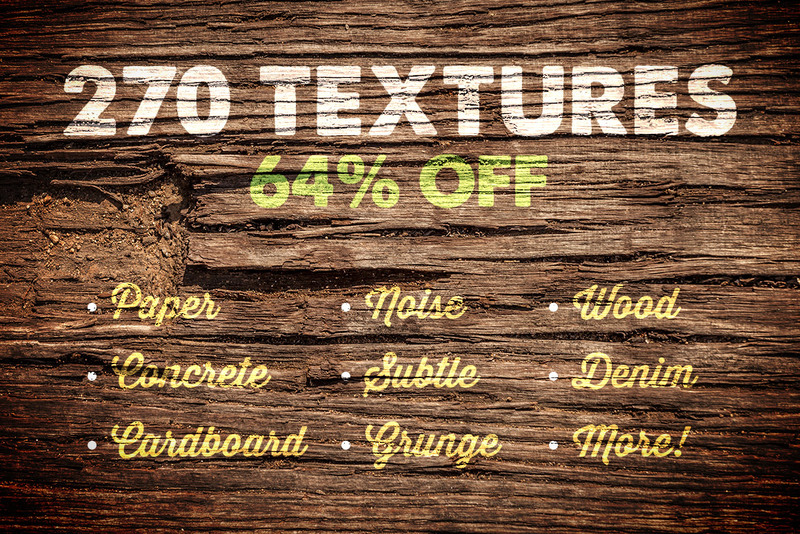 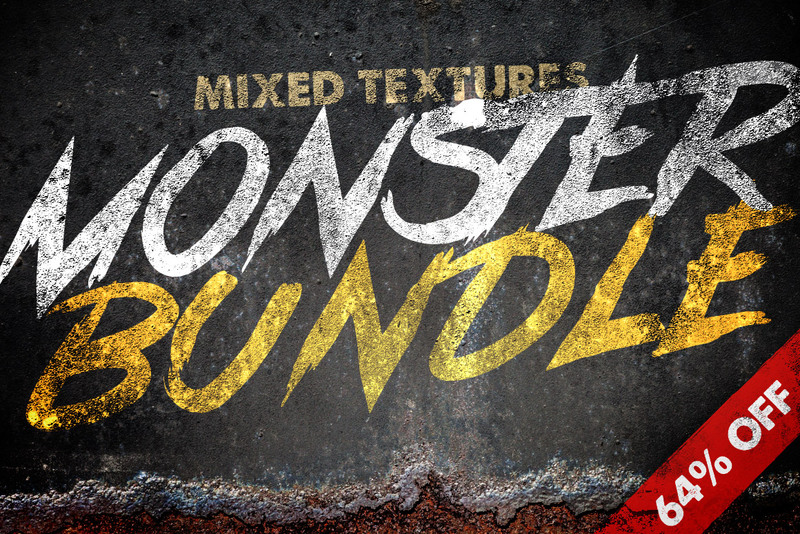 This ginormous bundle packs an outstanding collection of 270 useful textures, all at a 64% discount. 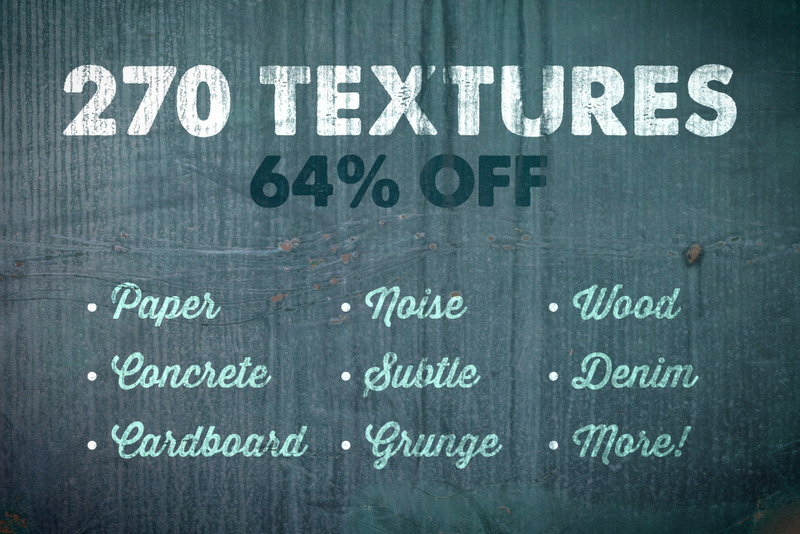 With 16 individual sets included, you'll find paper, concrete, cardboard, noise, subtle artistic surfaces, grunge, wood, denim, and more! 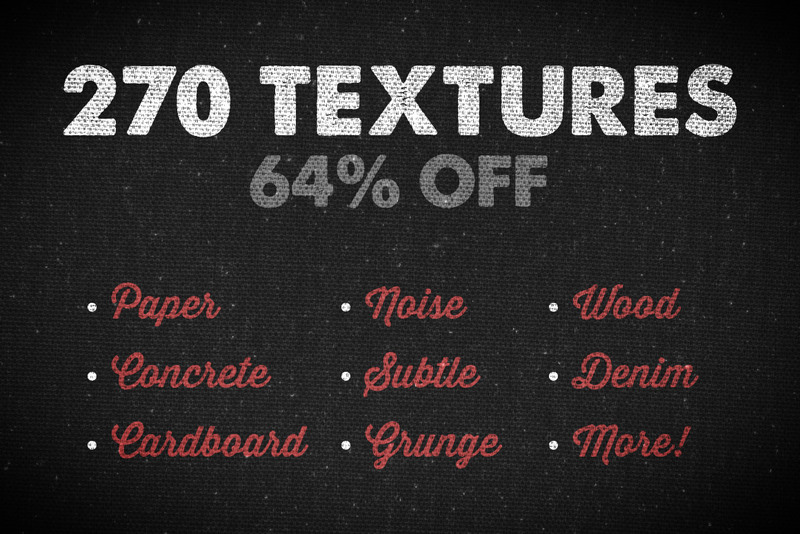 These high-res textures range all the way up to 5,616 pixels wide, so they can be used in both print and web designs.